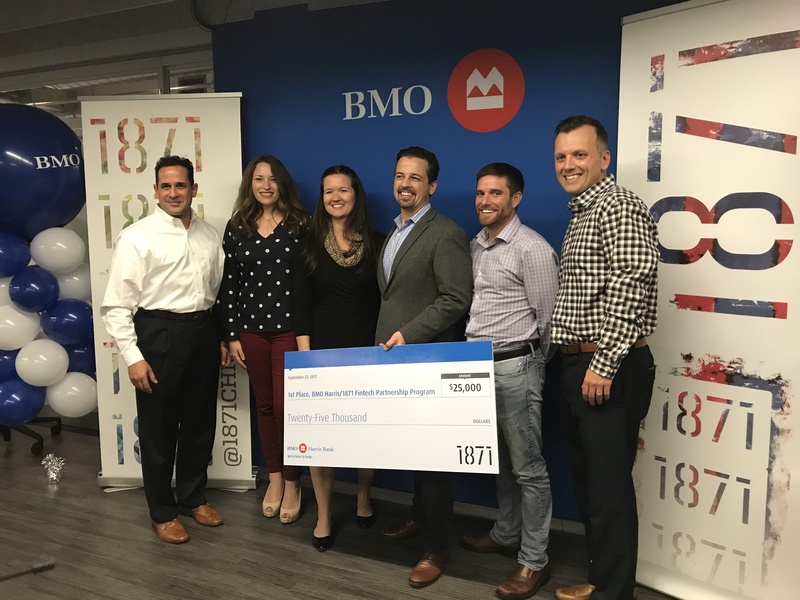 BMO Harris Bank and 1871 have announced the three winners for the BMO Harris/1871 Fintech Partnership Program. The three-month mentorship program, launched in April 2017, has supported a number of Chicago’s startup innovators who have developed industry-leading solutions for the financial services industry. Fintech companies from across Chicagoland were invited to apply for the summer program, which included three months of mentorship with access to resources from BMO Harris Bank. It also included a membership to 1871, Chicago’s 150,000 square-foot entrepreneurship and innovation hub, and cash prizes. The winners received $25,000, $15,000 and $10,000 for first, second and third place respectively. 1st place: Peanut Butter: Helps employers offer Student Loan Assistance as a benefit, so companies can attract and retain college-educated talent. 2nd place: Genivity: An A.I. software platform helping advisors engage clients and retain next generation heirs through life stage, health risk, and care cost planning. 3rd place: SpringFour: Works with the financial services industry to help improve payment performance, reduce delinquencies and increase customer engagement. The platform is used by leading banks, mortgage servicers, and fintech companies to connect their customers to local, vetted nonprofit organizations that deliver financial health resources, making it possible for customers to pay again. 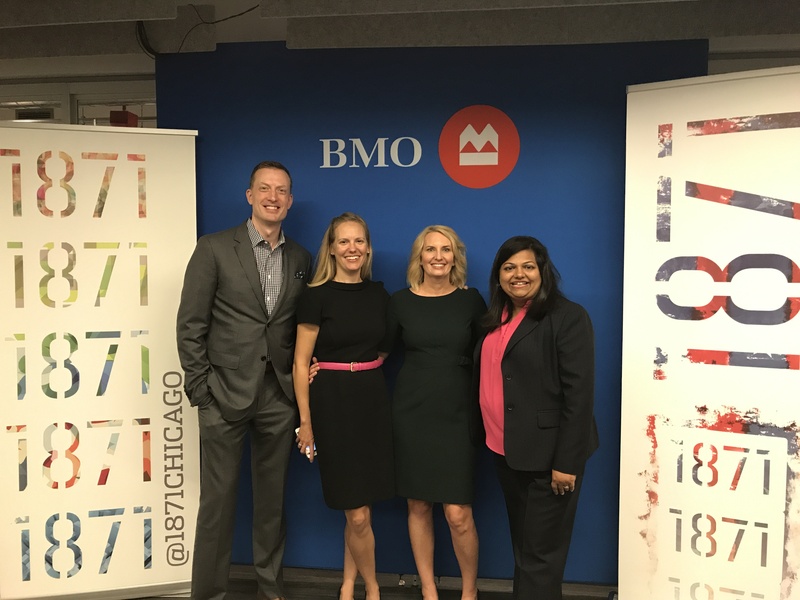 The BMO mentors offered customer and market feedback, along with a deep foundation of how to work with a large bank and nuances that include: processes, supplier engagement, technology due diligence, compliance and regulatory commitments. 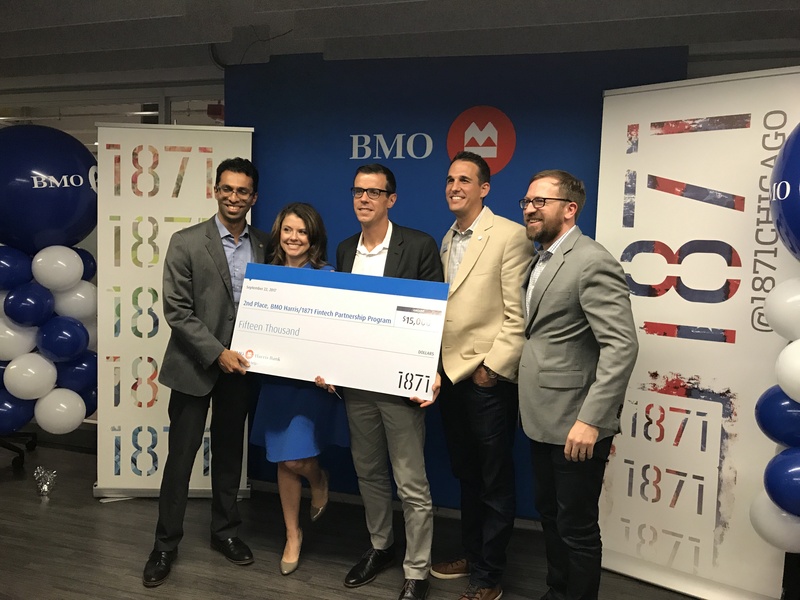 The partnership and the guidance from the BMO mentors have allowed all six startups to sharpen their great products and service offerings.